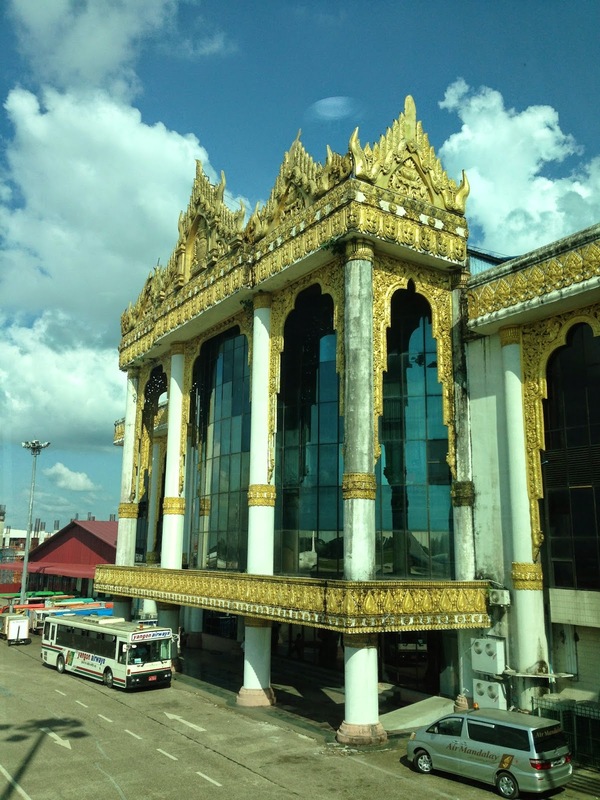 Landing in Yangon was one of the most memorable first impressions I have of any country. This golden structure came into view almost immediately and my eyes were fixated on it the entire time our plane taxied to the gate. Although small and simple, the international terminal of the airport was completed in 2007, and there are plans to expand it further. It has some interesting sights, such as an elaborate wall mural and a tall glass ceilings in the atrium. It was definitely a lot nicer than what I was expecting. However, this being Myanmar, the electricity did go out while we were in the process of having our visas stamped. 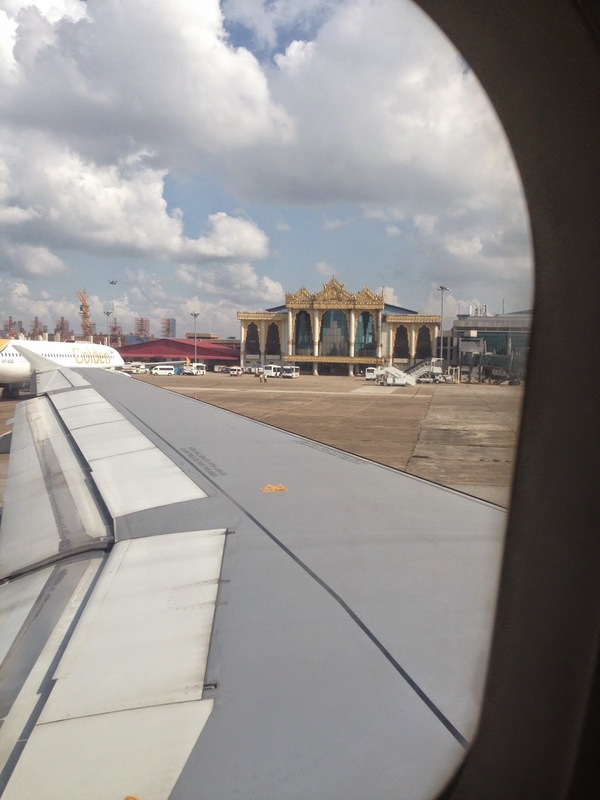 When we left out of this airport to fly back to Bangkok, I realized there was only one restaurant in the entire airport, and it was expensive. $4 for a small glass of orange juice. That’s young capitalism for you.